Caroline Jhingory is a survivor of just about every Tyler Perry storyline, while using her life story as a testament that no one is ever too broken, too scared, or too far gone to change their lives. Over 10 years ago, she weighed in at over 300lbs on a 5’2 frame. 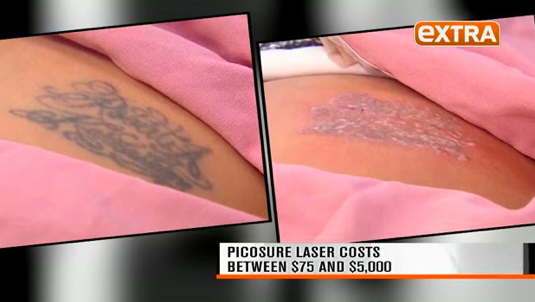 Caroline turned to food to cope with the physical and emotional abuse she endured as an adolescent, but one trip to the dermatologist to treat dark blotches on her skin changed her life forever. After finding out that she was at high risk for diabetes, she realized that something had to give. 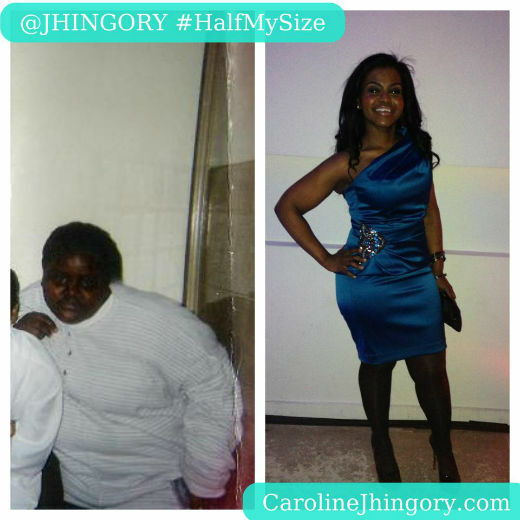 Caroline began her weight lossjourney, taking on what she likes to call “A poor man’s diet”, which incorporated cutting out all white foods. She also had no money at the time to join a gym, so she ditched the bus and walked everywhere. 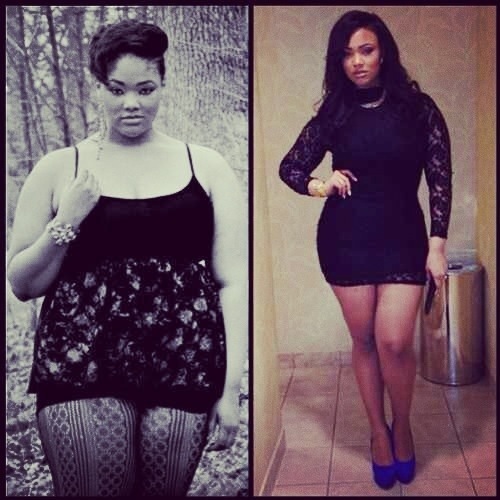 Within one year she lost 150lbs and managed to keep it off for good. No gastric bypass surgery, or quick gimmicks helped her lose the weight. It was pure drive from within. 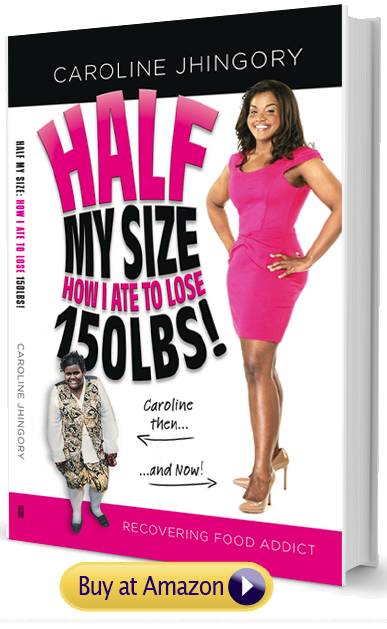 Now author of the book “Half my size; How I Ate To Lose 150lbs,” Caroline wants to inspire and help many others to lose the weight and gain confidence again, especially women of color. 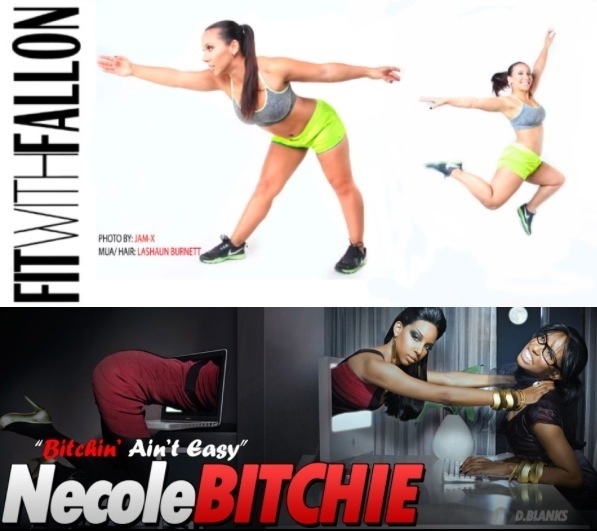 If you didn’t know already, I am a fitness correspondent for the entertainment site NecoleBitchie.com. 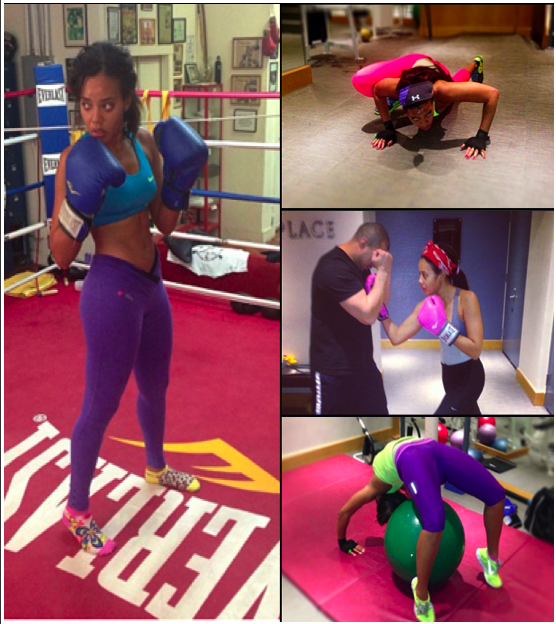 Both Necole and I are teaming up to present to you Fit Mondays! Fit Mondays will consist of celebrity workouts and their nutrition regimens. We will be reporting on and interviewing all your favorite celebrities to find out how they are getting in shape and staying healthy. We’ll be asking all the tough questions, guilty pleasures, worst body part to train, how to fit training into a busy schedule, favorite workouts etc. So make sure to head over to NecoleBitchie.com every monday to read my celebrity fitness interviews and reports to help motivate you to go hard in the gym.